To evaluate the differences between conventional fractionated intensity-modulated radiotherapy (IMRT) and hypofractionated (HypoRT) volumetric modulated arc therapy (VMAT) in elderly women affected by early-stage breast cancer (BC) in terms of RT-related acute/late side effect. Between October 2011 and July 2015, 80 consecutive elderly BC patients were treated with IMRT for 5 weeks (40 patients) or HypoRT-VMAT for 3 weeks (40 patients). Inclusion criteria were: age ≥ 70 years, early BC (pT1-2 pN0-1), no prior neoadjuvant chemotherapy and non-metastatic disease. For patients receiving IMRT or HypoRT-VMAT, a total dose of 50 Gy (25 fractions) or 40.5 Gy (15 fractions) was prescribed to the whole ipsilateral breast, respectively. All patients received a simultaneously integrated boost up to a total dose of 60 Gy for IMRT and 48 Gy for HypoRT-VMAT. 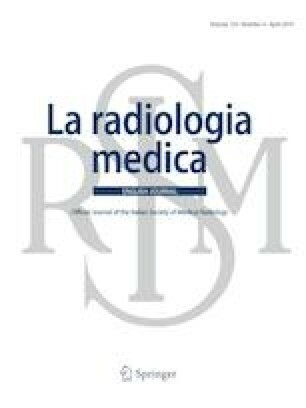 Acute and late side effects were evaluated using the RTOG/EORTC radiation morbidity scoring system. With a median follow-up of 45 months, acute skin toxicity was overall very low, with grade 1 in 25 cases (62.5%) of the IMRT group and 21 cases (52.5%) of the HypoRT-VMAT group, while grade 2 toxicity was reported in 10 IMRT patients (25%) and 1 HypoRT-VMAT patient (2.5%) (p = 0.001). Regarding late adverse events, only grade 1 skin toxicity was recorded. The present study showed that whole breast IMRT and HypoRT-VMAT are feasible and well tolerated in early-stage BC elderly patients and that HypoRT-VMAT is affected by lower risk of acute and late RT-related side effects. Informed consent was obtained from all individual participants included in the study. For this type of study, formal consent is not required.